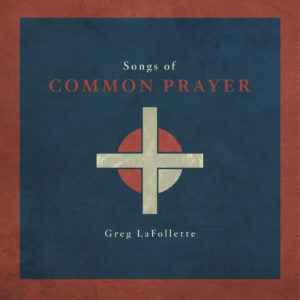 As the title clearly reflects, this album is a collection of songs whose lyrics are either directly drawn or adapted from the Book of Common Prayer. The artist, Greg LaFollette, is a Nashville singer/songwriter and worship leader who has been involved in over 100 records during his career. He has participated in cowrites or touring with artists such as Andrew Peterson, Audrey Assad, and Sara Groves. This album in particular reflects his commitment to community songwriting, as it features guest female vocals on 3 songs (Taylor Leonhardt, Sara Groves, and Sarah Masen). Overall, a very appropriate endeavor for songs adapted from the “work of the people” (or “liturgy”) that is the album’s namesake. The lyrical content of this album, as mentioned above, consists of collects, prayers, and liturgical readings from the Book of Common Prayer. The album is shaped much like a service of worship, moving through the various moments of the liturgy from gathering to sending. The three songs that accompany the Table in the liturgy (“The Lord’s Prayer,” “We Cry Mercy,” and “Prayer After Communion”) work together such that I was drawn into a longing for participation at the Table—I wished after listening that I had actually been participating in the liturgy. The musical content of the album is along the lines of All Sons and Daughters, with a strong male and female harmonization and intimate, acoustic arrangements for most songs that may occasionally blossom into larger movements with ensemble or gang vocals. LaFollette’s voice is soft yet distinct and clear, though for congregational use this collection of songs may need to be re-keyed. The melodies are otherwise memorable and suitable for the texts. Of particular note are the song of confession, “Most Merciful God,” and “Prayer After Communion.” Many evangelical churches would be well-served by these songs and the rich prayers they adapt for congregational singing. For Christians who have been formed by the language and structure of the Book of Common Prayer, this album may be a refreshing and deeply meaningful setting to music of words hidden in their hearts. For Christians who are from more free church traditions, this album should point to the rich source material in the Book of Common Prayer for singing rich biblical and theological prayers. Although the keys of songs may need to be adjusted and this may impact harmonies and some dynamics, this would be a small concession to make for the greater joy of having these songs available for a local church.